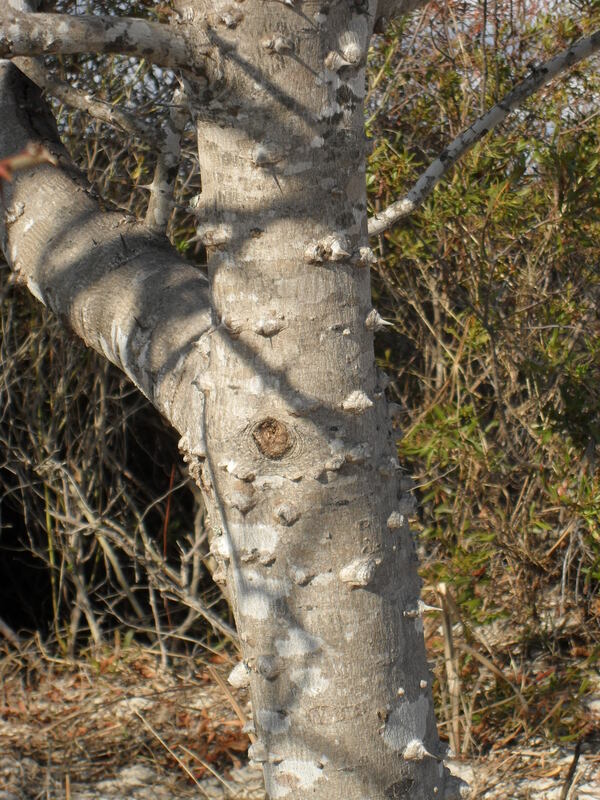 One of the many interesting plant species that grow among the dunes here is this one, Zanthoxylum clava-herculis, which all of my coworkers refer to as Hercules’ Club. I got interested in nature study by watching birds, whose English common names are all standardized, and the much more whimsical nature of the common names of plants both fascinates and frustrates me. 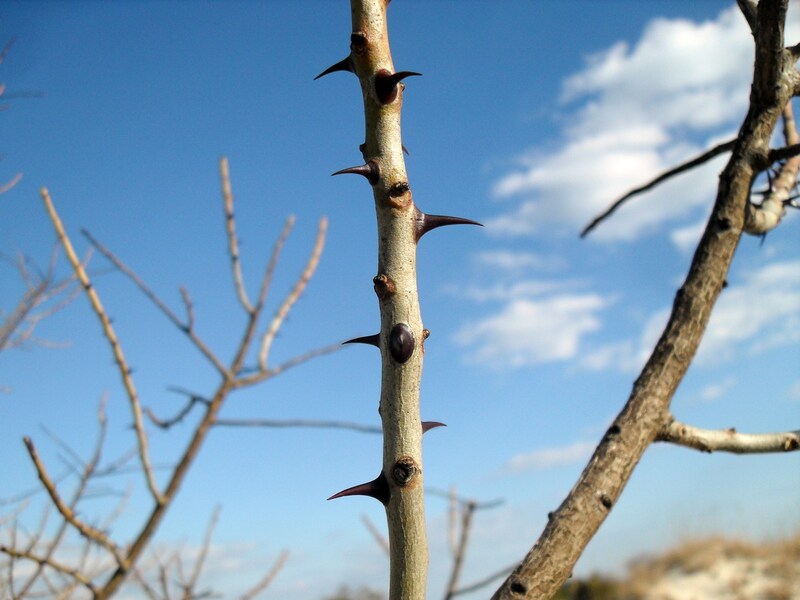 My tree field guide says that this species, which I call Hercules’ Club, is also known as Southern Prickly-ash, Toothache Tree, Sea-ash, and Pepperbark, while another species, Aralia spinosa, shares the name Hercules’ Club, in addition to being called Devil’s Walkingstick, Prickly Ash, and Prickly Elder. What??? 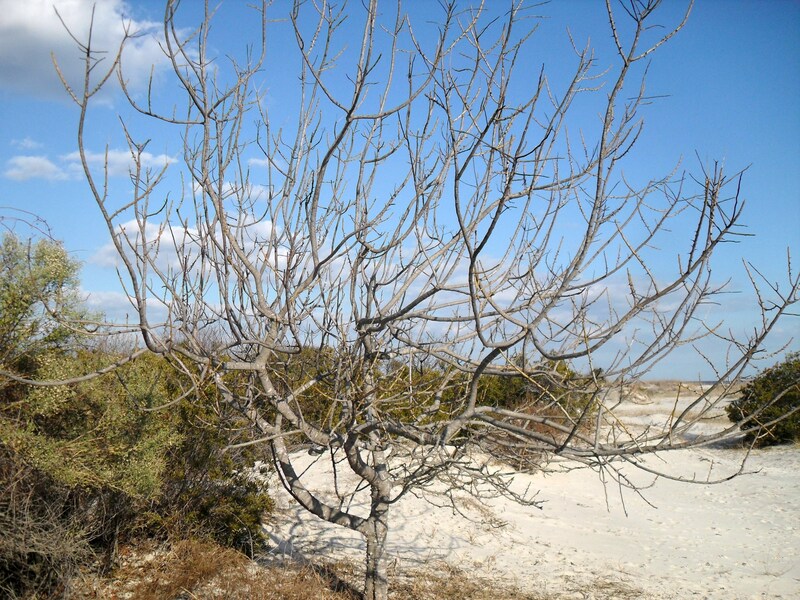 One of those names, Toothache Tree, comes from an interesting property of this plant’s leaves. At this time of year it doesn’t have any, but when it does we’ll occasionally pull of a couple and hand them to our students to chew on. (Rule of thumb for outdoor educators: give the kids as much stuff to feel, smell, and taste as possible.) The leaves have anesthetic properties that make your mouth go numb, and were once used to treat the pain of toothaches. …making me wonder if it, like locusts, might have evolved spines as a defense against long-extinct megafaunal herbivores like mammoths and giant sloths. It certainly doesn’t need spines sticking out of its trunk to ward off deer. 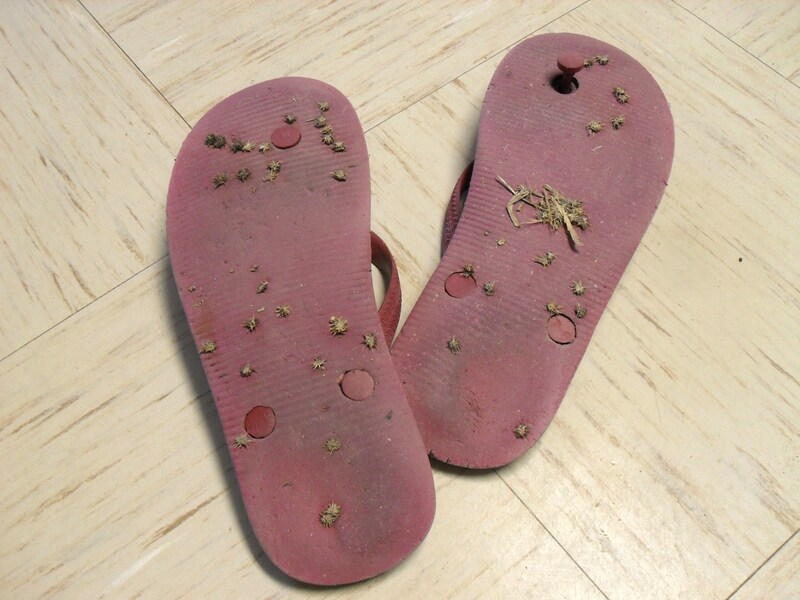 Ahh, sand spurs. A post for another day. The medicinal property of plants is intriguing. I like your flip-flop photo — similar to my loafers when I walk the dogs. Biologists continue to find plant medicines. Amazing to think about this plant’s possible connection with Giant Sloths! As for flip-flops in January–I won’t go there. Great to hear about this other Hercules’ club. We have Aralia spinosa here in Central Pennsylvania — it’s also very thorny, but rarely branches, sporting instead enormous, triply-compound leaves. It fruits so heavily that it sometimes breaks the tree, and birds like to get drunk on the berries. I have about 10 of these trees, scattered among the little patches of woods around the house. The first time I saw one, I felt like rubbing my eyes and taking another look, because SURELY tree bark couldn’t look like THAT.